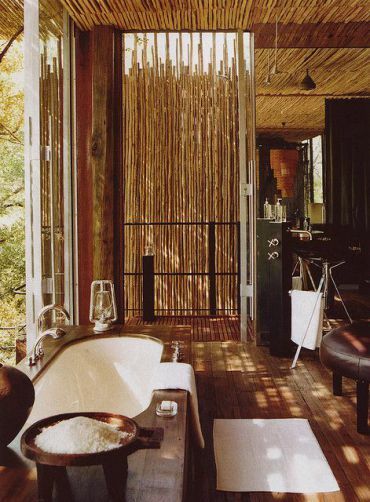 Around the World we saw the true interior design in South African homes. However, the cliche Safari décor we all have come to know is a great way to feed your adventurous spirit and surrounded yourself with a touch of nature. The best way to feel like you're on big safari adventure everyday is to bring the safari home. 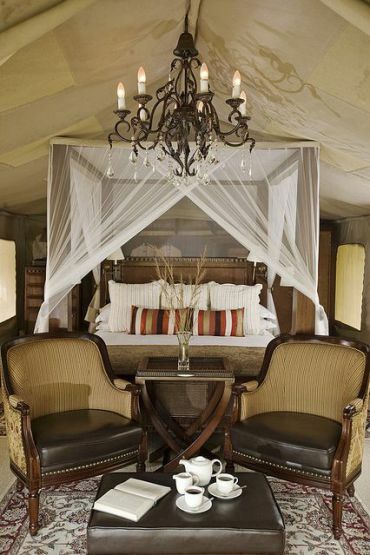 Safari inspirational décor includes earth tones, animal prints, heavy textures, tribal and nature accents. The trick with animal prints, hides, heavy textures is to not commit to a lot. In fact, showing restraint in design can be a really good thing. Pillows, a throw, or even a tray can be just enough. Mixing animal print isn't just for risk takers anymore. The secret is to vary the scale of the patterns. 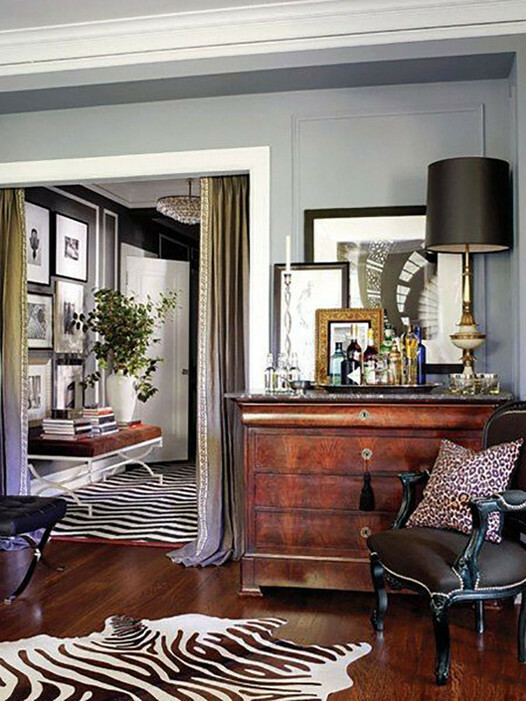 A larger zebra print on the floor doesn’t clash with a smaller-scale cheetah print pillow. Earth tone colors are a subtle way to not commit to the African Safari theme but still add a touch of exoticness to your home. These colors can add a warming atmosphere to any room. The colors should stay authentic to the theme and not be polished lacquered but rustic and raw. These earth tone colors include rich brown, rusty reds, burnt oranges, and olive greens, and creams. Tribal and natural accents is an easy way to add texture and dimension. Natural accents include wood, clay, bamboo, leather, rattan and other native materials. 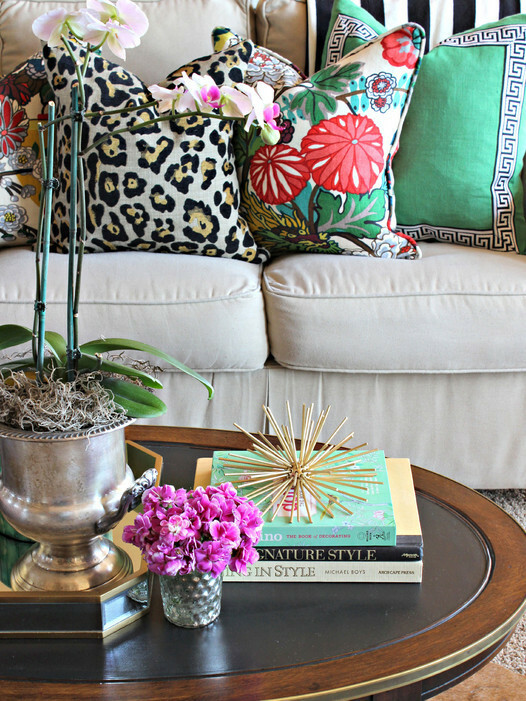 Tribal prints should be balanced with solids to create a room that feels uncluttered. Resorts are the best examples on how to sublet introduce earth tone colors, animal prints, hides, heavy textures, and tribal accents. Below is inspirational ideas from modest to more on the extreme side. All photos we're found on Pinterest.